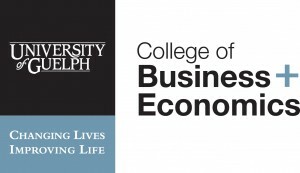 The College of Business + Economics at the University of Guelph provides a unique transformational learning environment that encourages critical reflection, personal growth, community engagement and global awareness, and promotes comprehensive understanding of both traditional and emerging themes in management and economics. Its vision is to develop business leaders for a sustainable world. It is KIF’s aspiration that through the ‘Business Brain Model℠’, business leaders will be able to make better decisions, run better businesses, and lead better lives. It is CBE’s aspiration that the ‘Business Brain Model℠’, will provide business faculty and students (the business leaders of tomorrow) with enhanced practical ideas and examples by which to better critique, apply and understand related subjects, and learn valuable skills. KIF and CBE believe this is an important and essential example of industry and academic collaboration; powerful lessons can be learned at the intersection of theory, experience and practice.